The bag is light, but with enough pockets and space. The Cobra King Dry Tech Cart Bag will provide protection against the elements as well as cater for your every need when on a trolley. 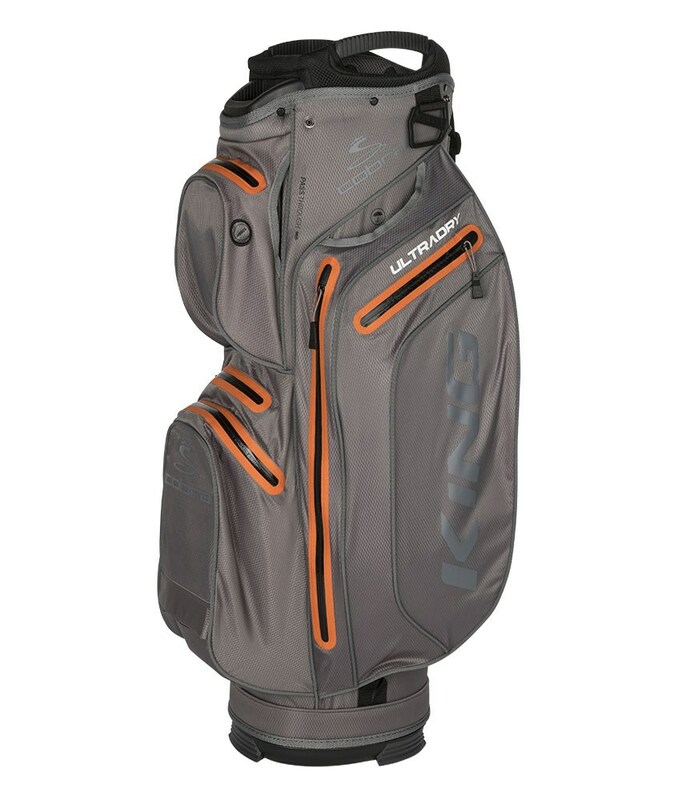 Designed specifically to provide easy access to all the features on the bag, Cobra have used a total of seven pockets on the King Dry Tech Cart Bag, all seven of the pockets are forward facing for easy access, loading and convenience. 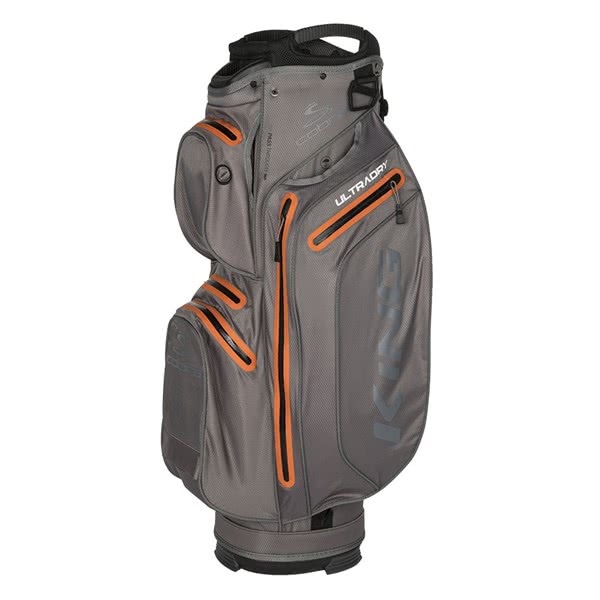 A 15-way top design that features full-length club dividers will provide excellent club management and prevent club crowding at the base of the bag for extra shaft protection. To secure the bag onto your trolley a cart friendly base unit has been used as well as a cart strap pass-through at the top of the bag. To make lifting and loading much more comfortable Cobra have integrated dual grab handles into the top design.